We had the opportunity to facilitate a review for the HotelSpa AquaCare 24" Stainless Steel Height/Angle Adjustable Series Shower Slide Bar . Although we received a sample this is honest and unbiased. After having some medical issues I had found that some tasks were a little harder than others, such as showering. I had to sit on a bath bench. I would get frustrated because I ould have to hold onto the hand held shower head the whole time I was showering. I received the Hotel Spa AquaCare Shower Slide bar, that you can rest your hand held shower head on. The Slide bar is a patented 90 degree Push Lock design for superior gripping power. It is portable and will mount and dismount instantly. It can be easily repositioned or removed for cleaning purposes.The angle and height is adjustable hand shower bracket swivels for right or left handed. 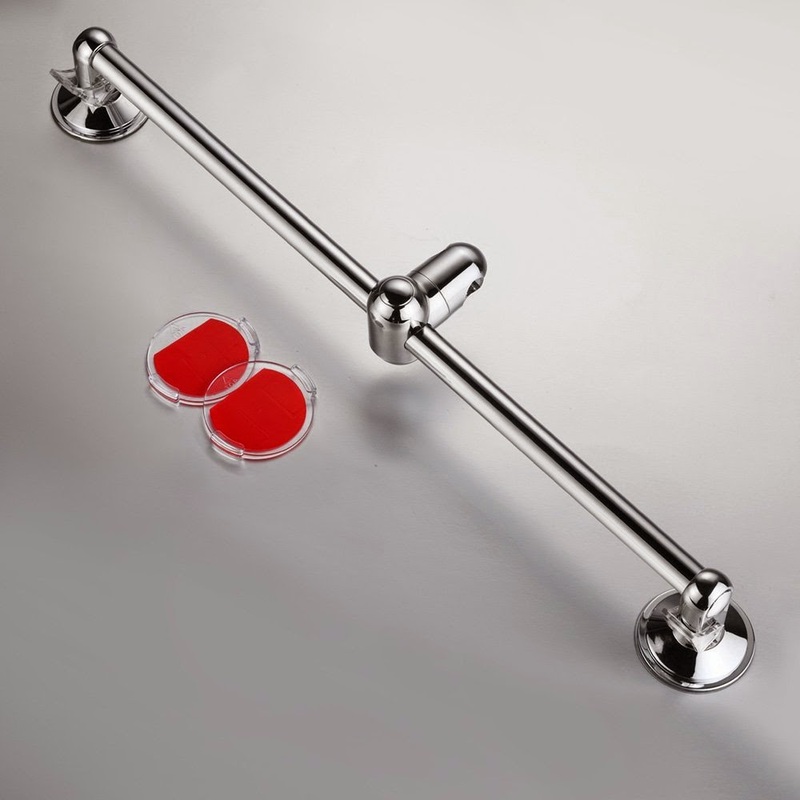 The HotelSpa AquaCare Shower Slide Bar is a sturdy high quality stainless steel construction, with a rich chrome finish. We easily installed this awesome new gadget without using tools, drills, or even damaging the surface. We were able to install this at a comfortable height and angle for me, and if I change my mind and want to move it, I am assured I will be able to do that easily and with no surface damage, because of the high powered patented suction. It will mount instantly and securely on all smooth and textured surfaces. 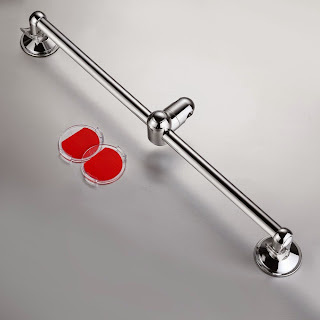 The Shower Slide Bar will work with any hand shower or shower combo. The shower slide bar has really helped make a difference in my shower. I enjoy my showers more, now that I have free hands. I think the construction of this is durable and high quality, it will last for a long time.